Once again our sacrificial virgin proved her worth. The weather for the great majority of the day was absolutely perfect. It was only at 5:20pm that the heavens opened and the few cars that were left at that time decided to call it a day. It had been interesting event. The age range of drivers spans six decades. Youngest was Jack Weir at seventeen in a 2.5 Sierra and Joe McArdle was at the other end of the spectrum, in his latter seventies and driving a Nissan 350Z. Joe was joined by seventy two year old Ron Birch in a pristine Robin Hood kit car. 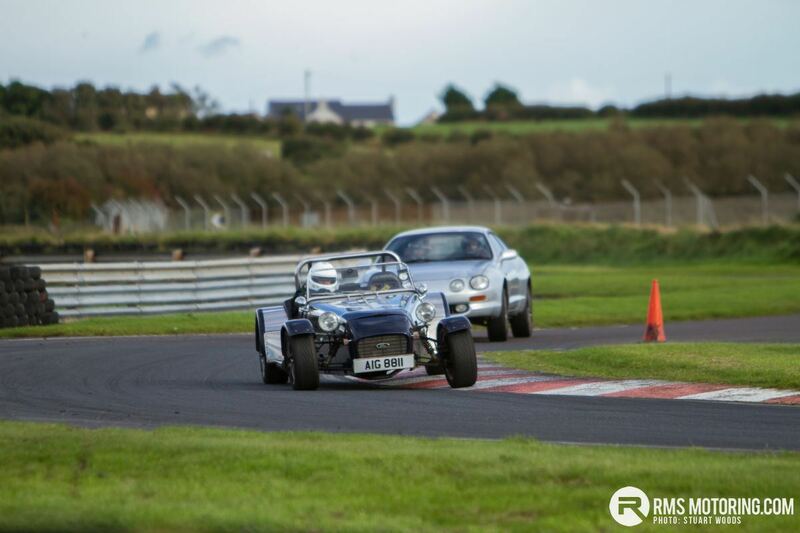 The last time Ron had been at the Kirkistown circuit was in 1966! Having said that, it didn’t take him long to remember his way round. Craig Davidson brought his RT2000 out but only got a couple of laps due to a faulty fuel pump. However, he said that those laps were amazing and he is looking forward to getting back again when it is sorted. The smoothest driver of the day has to have been Justin Duff in his very well prepared BMW M3. Street Racer has done most of the work on this car and it responds well to Justin’s inputs. Another smooth and fast BMW driver was Colin Anderson. He put in a large amount of laps at really quick speeds. T J McDowell was motoring well and he impressed a close friend of ours while giving him a passenger run. I had arranged for this friend to get a run with Justin as well but after the ride in T.J.’s Evo he said that he had had enough excitement for one day! It was good to see Larry Mawhinney back after some time and I think he made the most of the dry weather in his Westfield. He certainly wasn’t hanging about. 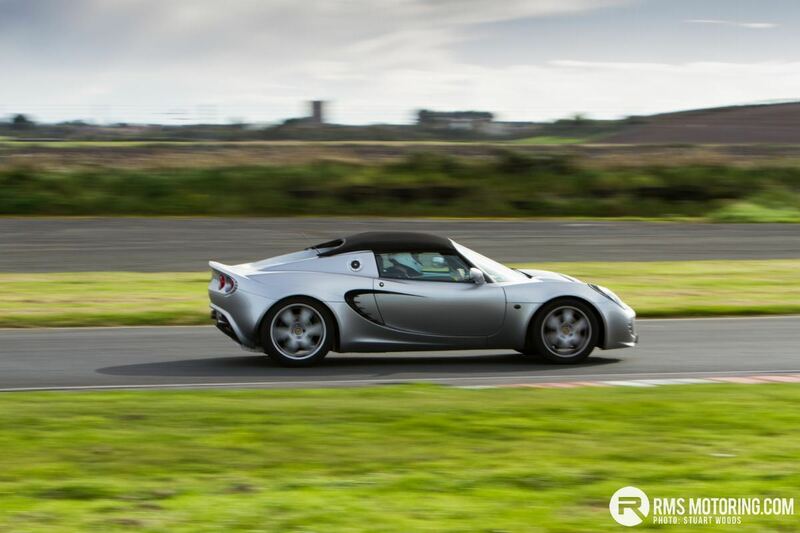 Joe Kelleher was with us for the first time and he went well all day in his silver Elise. The infamous Kirkistown brake problems afflicted John Cochrane’s MG Rover all day, providing him with quite a few brown trouser moments! 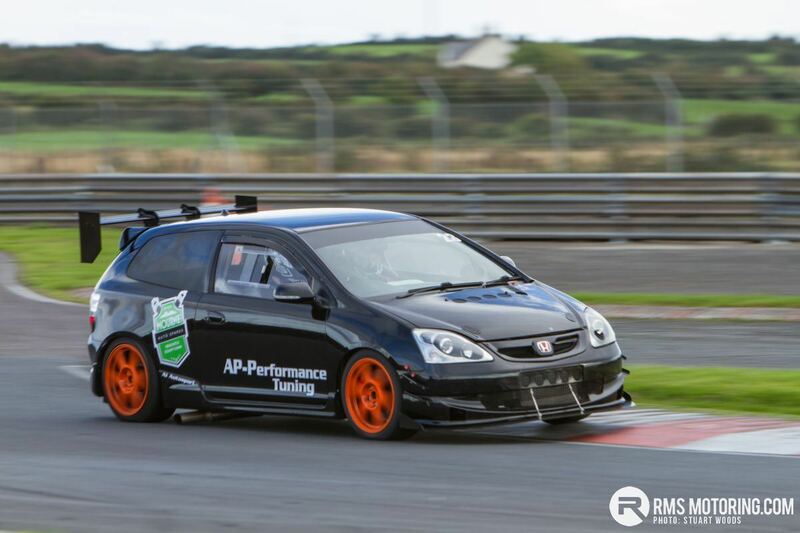 Dean Kennedy was absolutely flying in his Civic and he told me that he is definitely coming out to play with the Kirkistown Saloons at race meetings next season. This year has seemed to be the year of the Clio, as far as numbers are concerned. 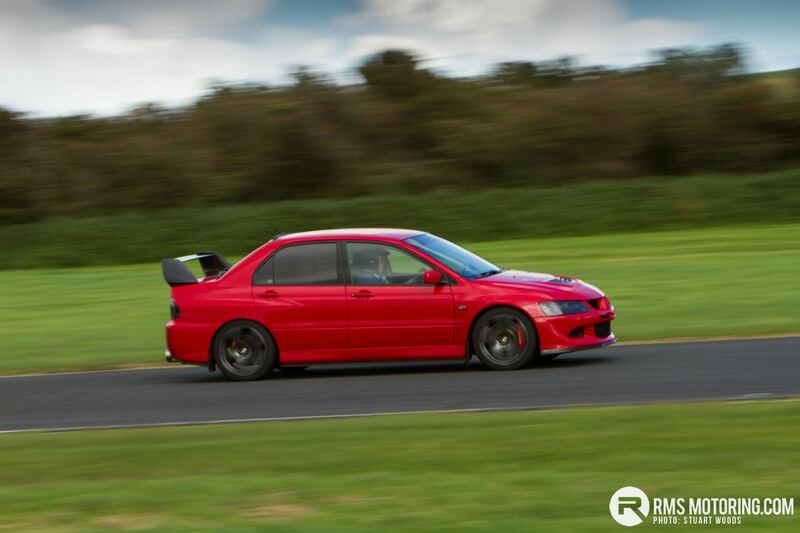 These are great track cars, usually easily bought and relatively simple to maintain. They provide a lot of speed per Pound or Euro. The result is that quite a few dedicated track versions are turning up and this leads me to the old chestnut of what is the first thing to do a car to improve it for the track? It is our view at Trackskills that the first modification should be a full cage. This immediately stiffens the car and improves the handling. Crucially, it also gives the driver much needed protection. The next thing to spend money on is uprated brakes. There is more lap time to be found while stopping than while accelerating. After that, tyres will provide the best gains. Better grip will lead to later braking and faster corner speeds. Then look at suspension to maximise the tyre contact patch and minimise body roll. When all those modifications have been done, only then should the engine be considered. Unfortunately, this was brought home to Conor Doherty on Sunday, when he rolled his 172 at the Chicane. He had been going really well but just came off the kerb on the wrong line and she went over. Conor was fine but the car was bent stupid. A cage would have made a big difference and might even have prevented the accident altogether, due to better handling. For reference, for a quality custom cage fitted to your car, the man who did most of the Kirkistown Fiestas to the proper specification, was James Graham of the Roguery Road, near Toomebridge. David Watters returned is his quick red Puma. He circulated without incident all day. The Dundalk Dancing Team was out in force with mixed results. Jim Kennedy’s MR2 is really quiet and very quick. 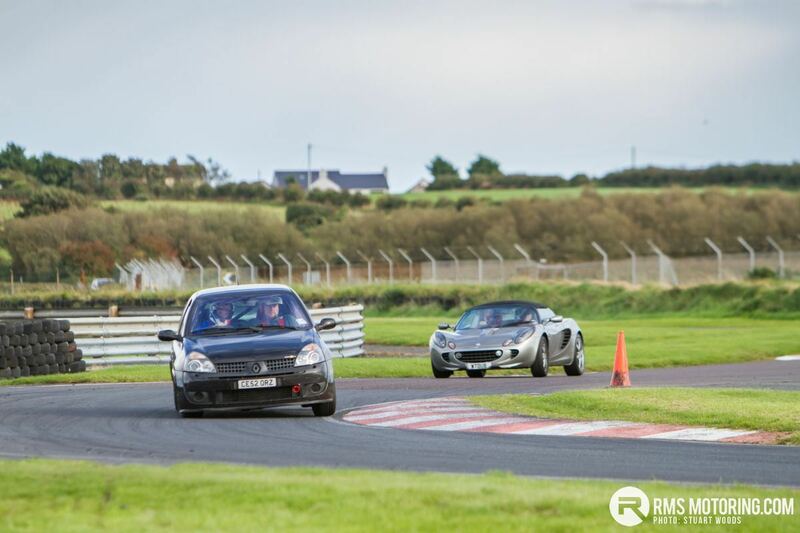 Damian Moran’s Elise seems to run endlessly without bother but Karma is still punishing Brendan Cumiskey for deserting his beautiful Mini for a Clio. This time it was a brand new injector that let him down. The quick stepping Cosgrove brothers got many good runs in their not-so-quiet MR2 before the locking brake problem began to reappear towards the end of the day. As mentioned before, Joe McArdle belies his age in his quick 350Z. The Mazdabitz Focus was really quick, no matter who was driving and the Meegan brothers, Colin and Paul, seemed to be having a great time in their Clios. 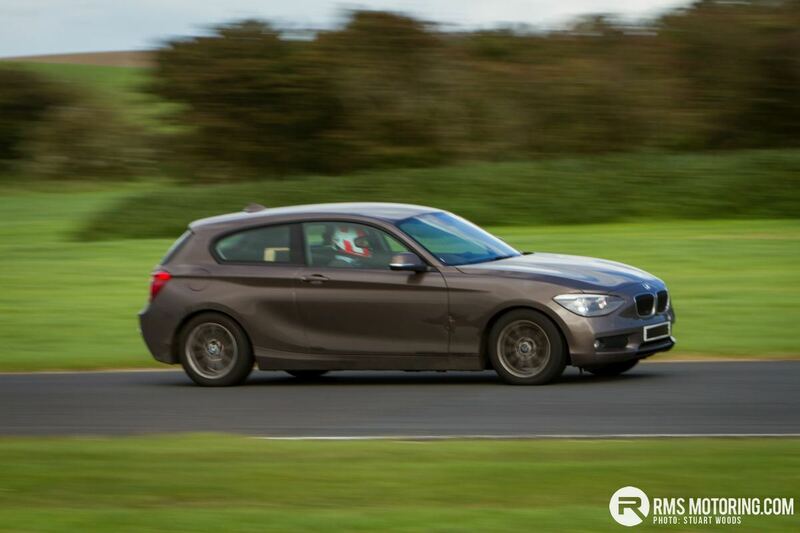 When asked what car to buy for a track day, I usually point people to a Clio if they want front wheel drive or a Mazda MX5 if they prefer rear wheel drive. The Lynch and Joyce brothers have gone down the route of the MX5 and are sharing one between the four of them. Judging by their smiles, they are happy with the choice. All in all, it was a mostly good and educational day. Conor Doherty wasn’t hurt but his accident has given food for thought to many others. Thank you to the marshals who did a perfect job and to Philip Brooks for providing medical assistance, although, thankfully, it was not required. Our next date is Sunday 16th October. Email [email protected] if you are planning to come, please. Brilliant article, very well written and great photos.